HURC is a 501.c.3 Not For Profit Corporation which operates with a Volunteer Board of Directors. In May, 2015, the Greater Cincinnati Redevelopment Authority signed an operating agreement with the Board of Directors to manage the organization going forward. 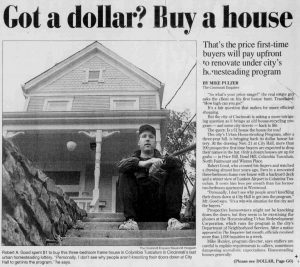 In the past 42 years, HURC has been responsible for the rehab of over 700 houses, including 14 in since 2015 acquiringg inventory from the Hamilton County Landbank and the NCST. In the past, it also facilitated the transformation of Walworth Street in Columbia Tusculum from abandoned, blighted buildings with negative value to a current value of over $13 million in owner occupied housing units. 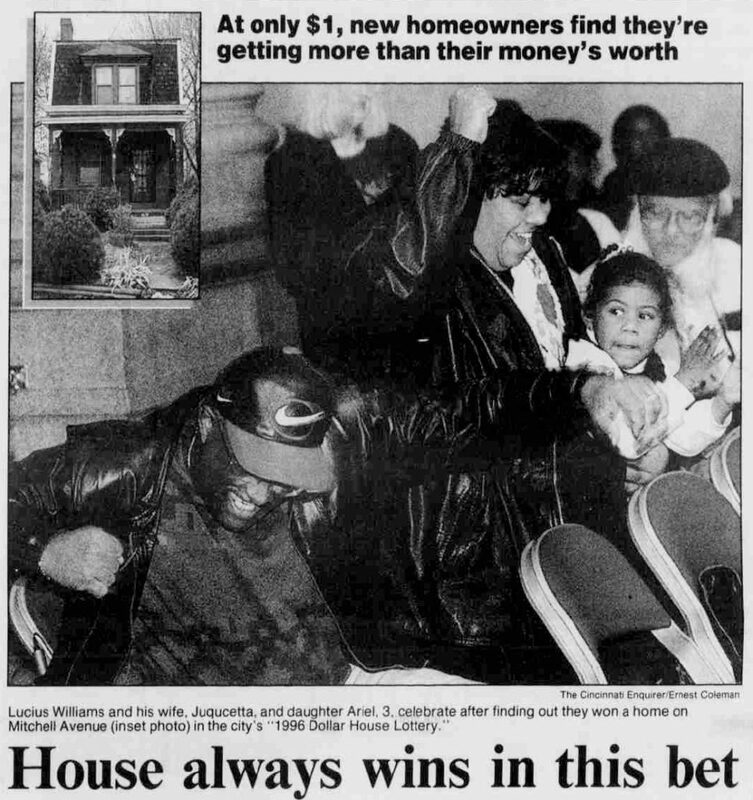 For the first 25 years of operations, HURC used a Dollar Lottery program to acquire and assist the rehab of properties in partnership with Developers, Neighborhood based Community Development Corporations and the City of Cincinnati and the Community Development Block Grant and HOME programs. Due to lower interest rates and first time home buyer programs in more recent years, HURC changed its operations to acquiring, rehabbing and reselling properties to first time, low and moderate income home buyers. In addition, HURC has been named the Regional contact for the National Community Stabilization Trust to facilitate the acquisition of vacant and/or foreclosed properties. The Trust is a coalition composed of The Enterprise Foundation, The Local Initiative Support Corporation, The Housing Partnership Network, Neighborworks and The Urban League. Their purpose is to facilitate access to National based Lenders to give better access to foreclosed properties when local contacts are not available. Through all of these activities, HURC is dedicated to improving the quality of housing stock and increasing home ownership, providing a quality product with minimal overhead. The Homesteading and Urban Redevelopment Corporation is established by the City of Cincinnati to take title to property under the HUD 810 Urban Homestead Program. The HURC becomes an independent 501(c)3 organization. HURC entered into a contract with the City of Cincinnati under the City’s Neighborhood Homes Initiative to facilitate the acquisition and pass thru or rehab $1.245 million of vacant and/or foreclosed properties in 5 neighborhoods in the City of Cincinnati. Those neighborhoods were Mt. Auburn, Spring Grove Village, Kennedy Heights, South Cumminsville and North Fairmount. The Greater Cincinnati Redevelopment Authority signed an operating agreement with the Board of Directors to manage the organization going forward. In 2017, the HURC has made a primary objective the attraction of private investment for economic and community development projects that serves the demand for more rehabilitated affordable/workforce housing.